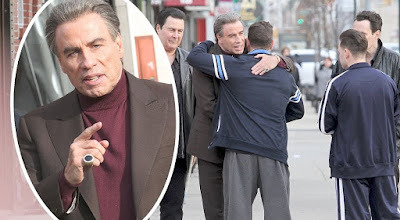 The first trailer for the crime drama Gotti debuted Tuesday on Good Morning America, offering the first main look at the titular John Gotti (Travolta) and his family. The film, directed by Kevin Connolly, focuses on Gotti, his son and their involvement with the Gambino crime family. The trailer follows Gotti as he rises up through the ranks and gets deeper into the mob life. Gotti hits theaters nationwide on December 15, 2017.